Deal Categories: Pre Workout Products and Bodybuilding.com Coupons.Stores: Bodybuilding.com. 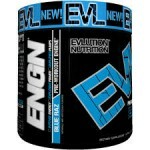 Buy one EVLUTION NUTRITION: ENGN (30 serv) & get one free for $29.99. Add 2 tubs to your cart. Over 2,300 reviewers have given it “Excellent” a 9.1 out of 10 star rating. Deal Categories: Pre Workout Products.Stores: Alpha Lion. Watch our full review below to get all the details & no BS! Use coupon code ‘FDN20‘ during checkout to shave 20% your entire purchase at Alpha Lion. Add the product to your cart. Deal Categories: Pre Workout Products.Stores: Muscle and Strength. The price on the Primeval Labs Mega Pre Black (40 serv) drop to $19.99. This is the best total price we saw by $16. Deal Categories: Pre Workout Products.Stores: Purge Sports Coupons & Reviews. Sitewide Purge Sports coupon. Including the Purge Sports Pre V2 and RIPTX. Repp Sports RAZE Energy Drinks (Case OF 12) – $15EA + Free Shipping!